There I said it on my post title, loud and clear that I am no beauty junkie. But why did you agree to review a beauty product, you may ask? Well, every single time I am offered with something I never used before, I do extensive research about it. All thanks to the ever reliable Uncle G (Google that is), I found out that Dermagold Skin Clear Peel is an award-winning beauty product. It sounds too good not to try especially now that I am, errrm (please excuse me and let me take a deep sigh first), pass the middle age and in the process of ageing. Who wouldn't want to age gracefully and beautifully, right? Admittedly, I am not prone to having acne and pimples (I only get it occasionally like once a month or if I get lucky, once every two months due to hormonal changes) but I bought the idea of using Dermagold Skin Clear Peel as DIY Home Peel. To be really honest, the word PEEL there scared me a little. What if my skin peels like crazy and I can't go about life like I normally do? My work involves talking and dealing with patients face to face and at times, I have media events to attend too. How? That was my biggest worry. Thankfully, my worry was for naught. 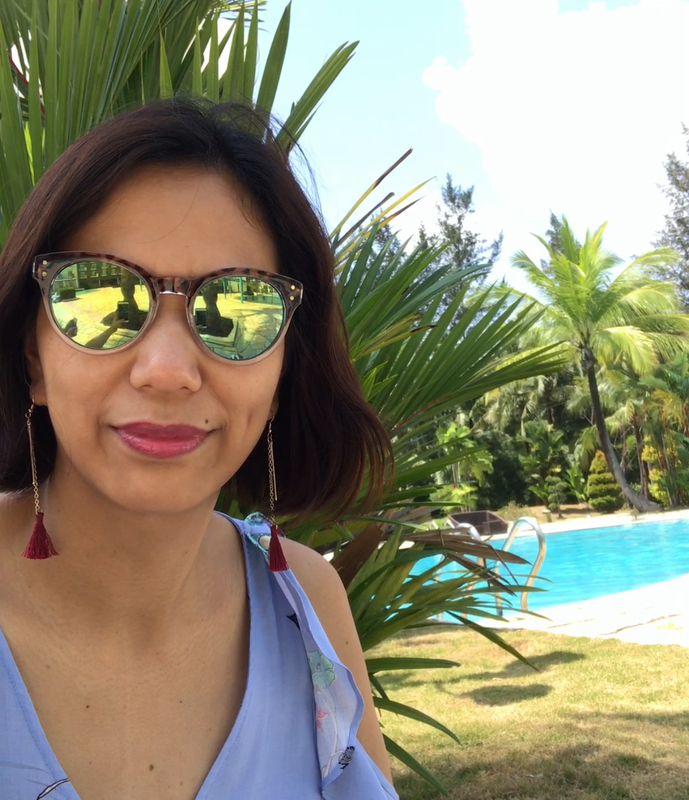 I used Dermagold Skin Clear Peel as DIY Home Peel once a week ever since I came back from my holiday in the Philippines (that was end of June) where my skin suffered a lot from air pollution and now, every one whom I meet in person or those who sees my rare selfies on Instagram were proof that I am indeed glowing and looking youthful. Here's a non-filtered selfie I shared on Instagram whilst I am on an island holiday with my family last weekend. I can't say the only secret was the product I used though. When you are genuinely happy, you just glow naturally without noticing it but I can't dispense and ignore the fact that Dermagold Skin Clear Peel did help to rejuvenate my skin and let it glow. I used it alongside the Dermagold Premium White Mask to prevent my skin from getting dehydrated from the peeling effect and I have to say I achieved ideal results. It's that simple and more importantly, it's proven effective for me. Interested to try Dermagold products too? When I shared about trying Dermagold products on Instagram, a beauty junkie friend commented she loves Dermagold Premium White Mask and that I should try Dermagold's Skin Elixir as it's one of the best serums she had tried. So there, you now have not just a testimony from a non-beauty junkie mom-me but also a testimony from a certified beauty junkie about Dermagold products. Do quote DERMAGOLDCHERRY upon check out when you shop at www.dermagold.sg to get 10% off any purchase order. Promo code is valid until 31st October 2017, so hurry and shop as early as now before the stock runs out. I do wish your skin be as compatible as mine with Dermagold Skin Clear Peel and Premium White Mask. Bonus tip! Sign up to be a Dermagold member here and receive $20 voucher. Dermagold is an independent skincare brand, made for the discerning user who is serious about simple and effective skincare, beyond the trend and fads. Dermagold firmly believe that real, bear-faced beauty is empowering, and should be the core foundation of every woman or man. Harnessing the best of science and nature in one, Dermagold combines proven scientific findings with powerful ingredients from nature to formulate award-winning products that not only produce high quality effective results, but are also a joy to use as daily beauty ritual. Read more about their brand story here. 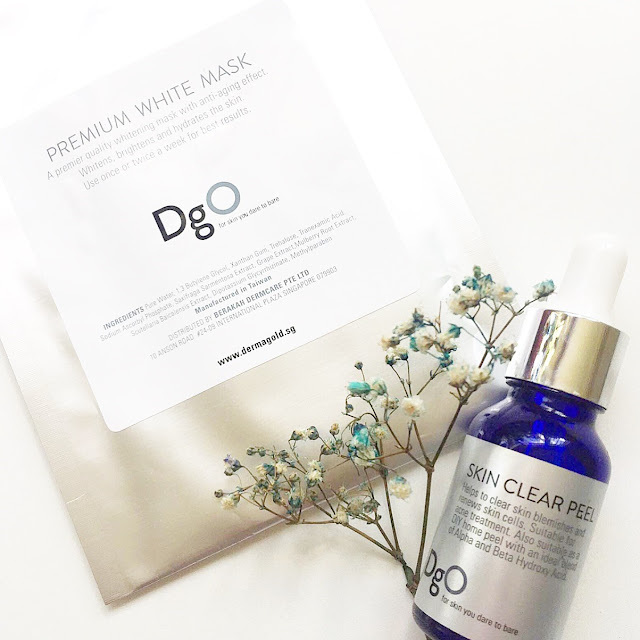 Dermagold sent us their Skin Clear Peel and Premium White Mask for us to try for the purpose of this review. All photos, opinions and peeled skin are entirely mine. Do note that results may vary per individual.